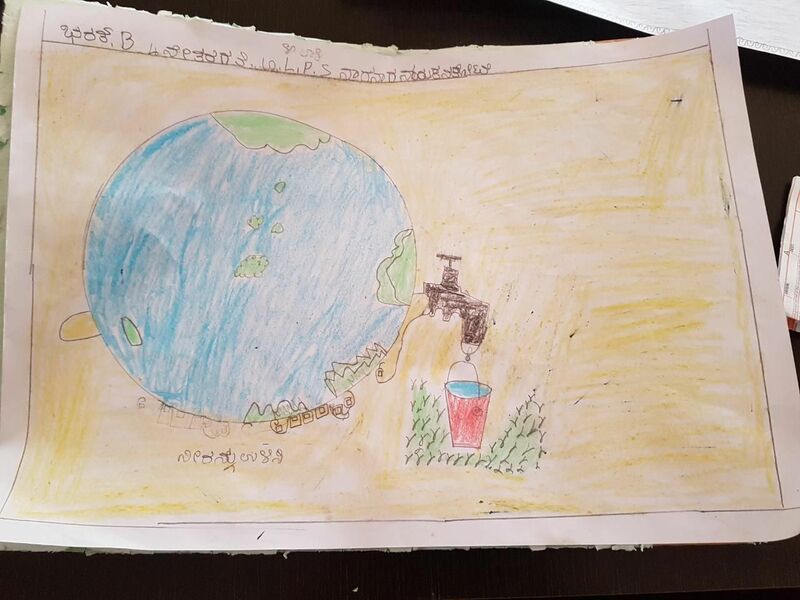 The Water ATM project at Naganayakanakote is the largest single unit project of RBWC (worth Rs 36 lakhs). The unit marries technology with the community and the need is sponsored by TESCO, our largest corporate partner thus far. Hopefully, many more are in the offing. Many RBWCians since two years have toiled to make this happen. To express our gratitude to TESCO to do this huge service, we joined hands in large numbers. 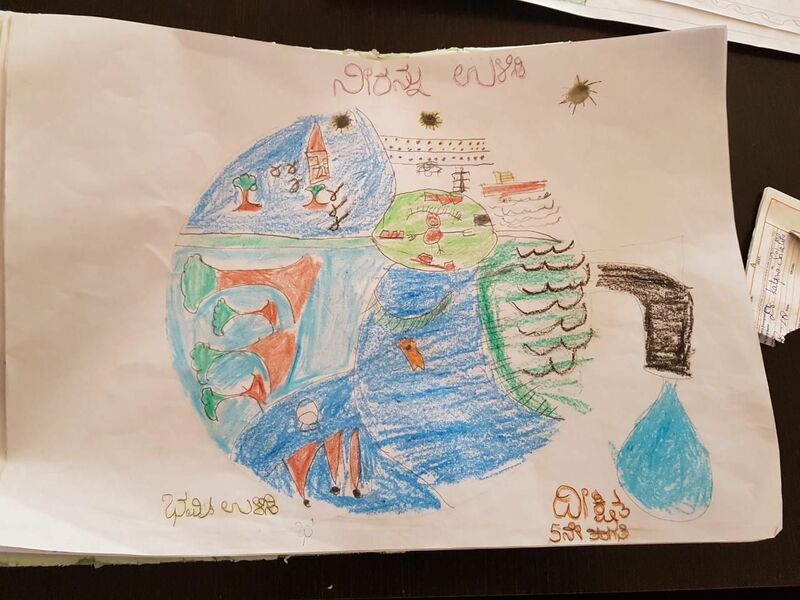 In connection to the project, water conservation awareness was conducted by Water Life (the implementation company) in the month of November 2017 to Government Lower Primary School in Naganayakanakote village. Bengaluru city limits are extending year on year with the migrant population. 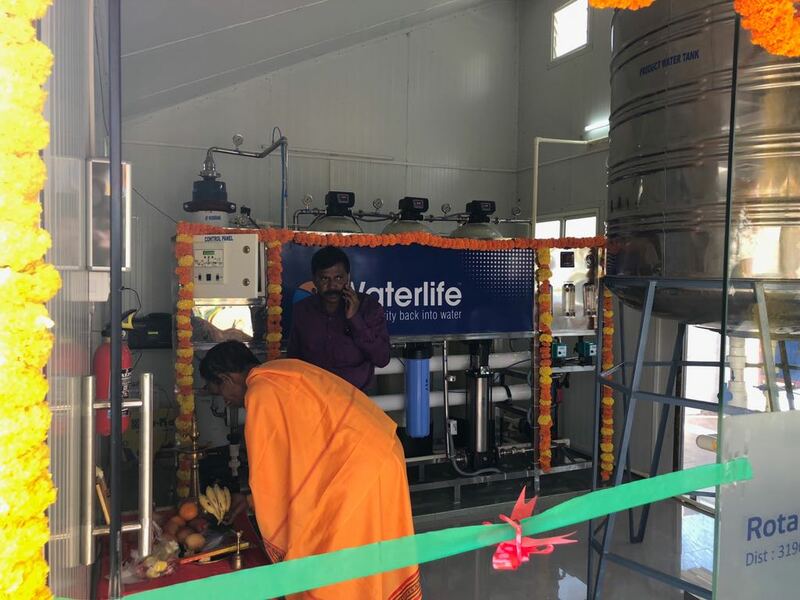 The life-line for existence being drinking water, its availability, access and portability has become a primary issue on a day-to-day basis. 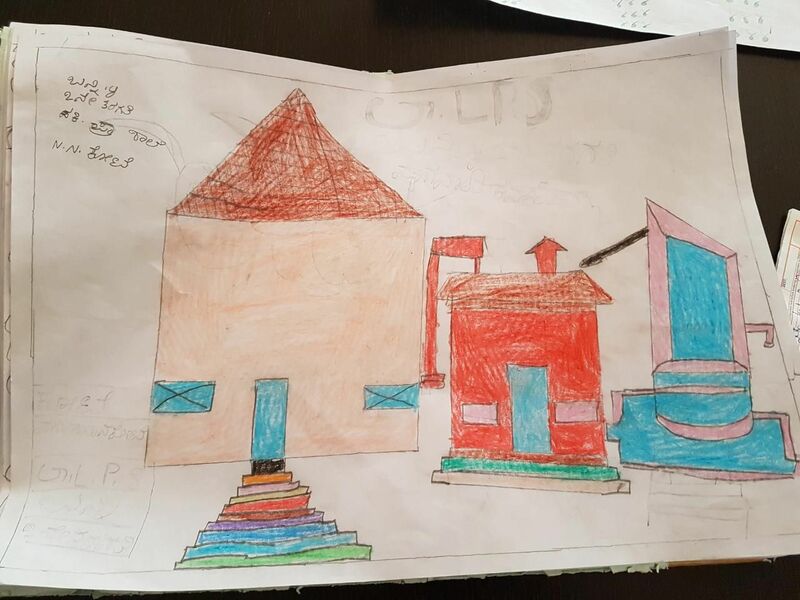 Over the recent decade, it has become a challenge to city dwellers themselves and one can imagine those living outskirts, especially the villages. 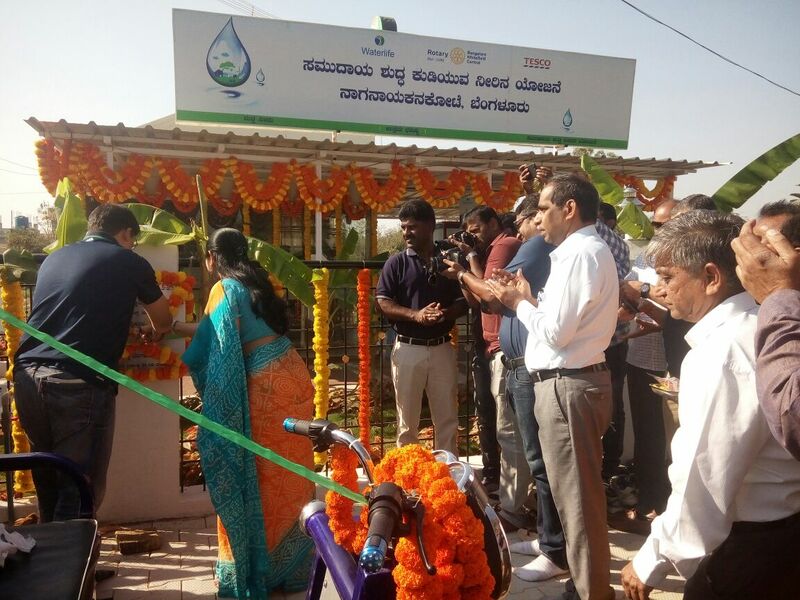 Rotary Bangalore Whitefield Central, D 3190, on Wednesday 21st Feb 2018 inaugurated Clean and Safe Drinking Water project in its adopted village Naganayakanakote, 7.5 KMs from Hopefarm Circle, Whitefield, Bengaluru city. The project costed US$60,000/- and took about 7 months for execution. 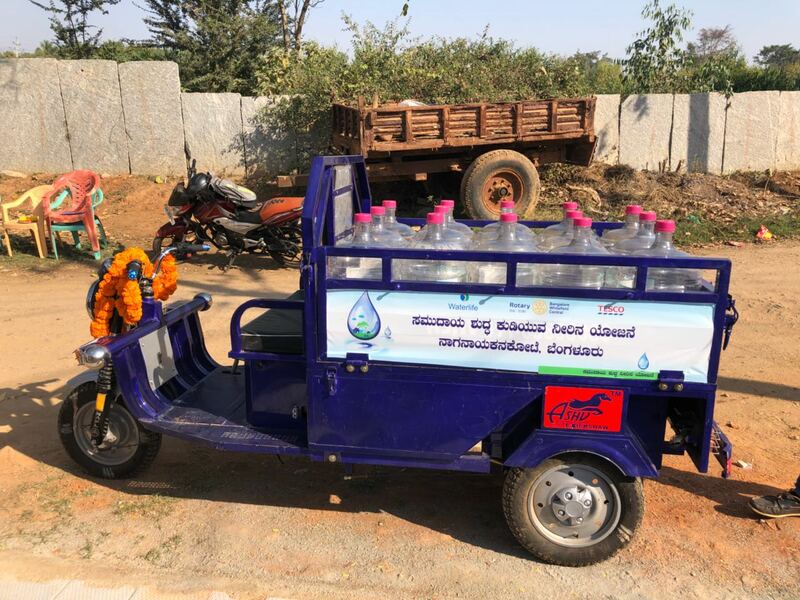 It was completely funded through CSR by Tesco Bengaluru and implemented through a social enterprise Water Life, this initiative now gives the villagers access to clean and safe drinking water. 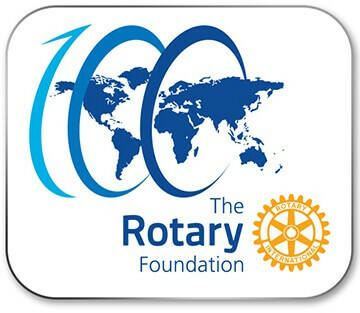 The project is expected to impact 10,000 lives in Naganayakanakote and surrounding villages. The plant works on prepaid card basis drawing 1 lt., 2 lts. and 20 lts. quantity. Akin to bank ATMs, this machine dispenses water through swipe card at the tap bank, thus commonly called Water ATM. The per hour capacity of the plant is 1000 lts. and being operated on a fixed time basis. 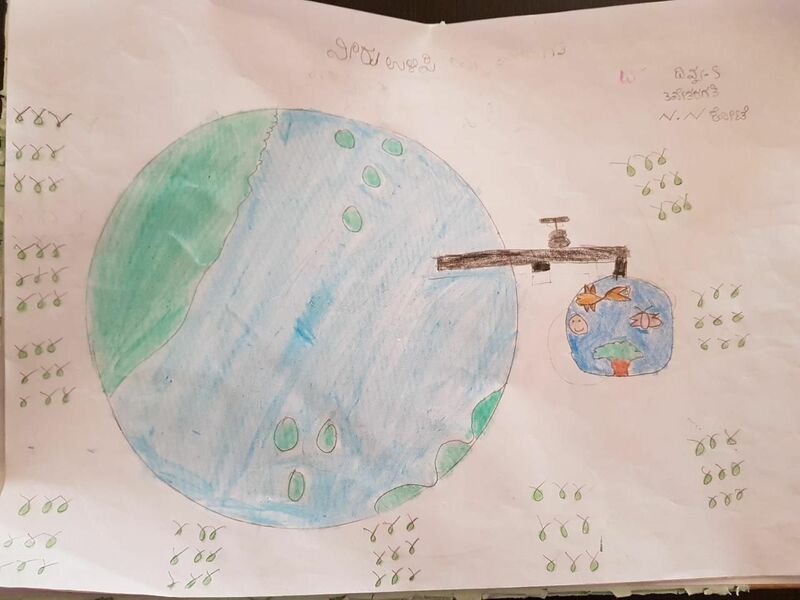 This concept has been very successful in northern parts of India, implemented by Water Life, who is one of the handful of organizations, quoted and recommended by World Bank. This is a holistic and comprehensive end to end program envisioned to contribute to the implementation of the UN’s Sustainable Development Goal (SDGs) of ensuring clean water, sanitation and building community partnerships for progress. It delivers not just on health benefits but impacts multiple other socio-economic parameters as well. The water plant has a multi-stage treatment made using green technology. The smart, automated swipe card based dispensing mechanism brings in immense convenience for the end user beneficiaries. The plant is also connected to a fully automated & digitalized remote monitoring system to examine on a continual basis. 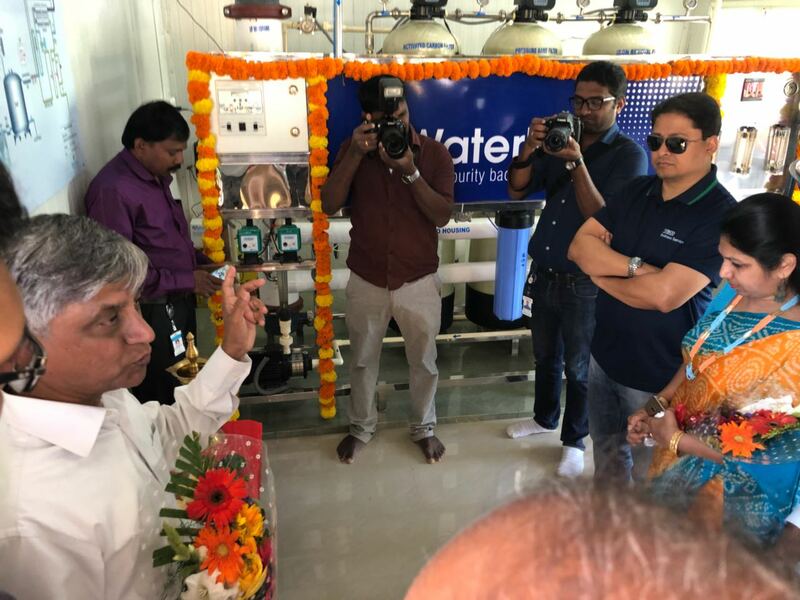 Another interesting feature being building community trust and transparency around the program such as displaying monthly certified water test reports openly displayed at the plant. Further more, rainwater harvesting community welfare fund is also set up to fuel holistic community development. This clean and safe drinking water project is expected to have tremendous impact on the health and overall quality of life of the community. Firstly, it has cut down the travel to fetch drinking water by the women in the villages instantly. This self-sustainable project where RBWC through Water Life will handhold for 10 years, also employs few villagers in the daily maintenance and up keeping. 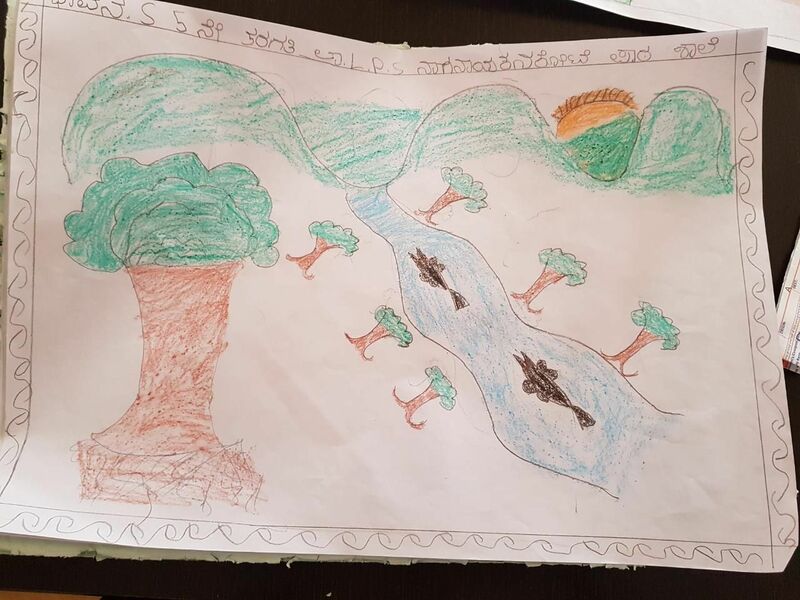 RCC of Naganayakanakote will be overseeing the project by taking ownership of the water ATM eventually empowered to operate on their own, thus bridging the connect to sustainability. This ready access to high-quality portable water meet or exceed WHO standards and Indian ISI 0500 standards for drinking water. 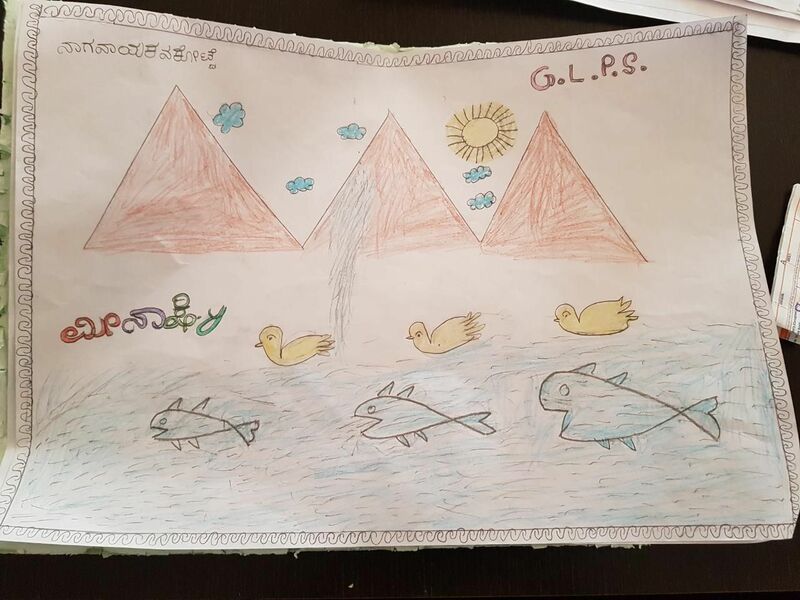 An outreach programme of painting competitions and quiz competitions in the rural schools were organised prior to the launch, to create awareness, to engage and to boost the sensitisation on the merits of safe water. This included various health benefits especially amongst children who are the primary agents of change. Whitefield Central club’s adopted Naganayakanakote village is surrounded by many more villages such as Doddadunnasandra, Samethanahalli, Muthkur, Muthasandra, Anugondanahalli and a few smaller villages as well. The programme also aims to facilitate distribution from the Naganayakanakote hub to these villages for clean water access. 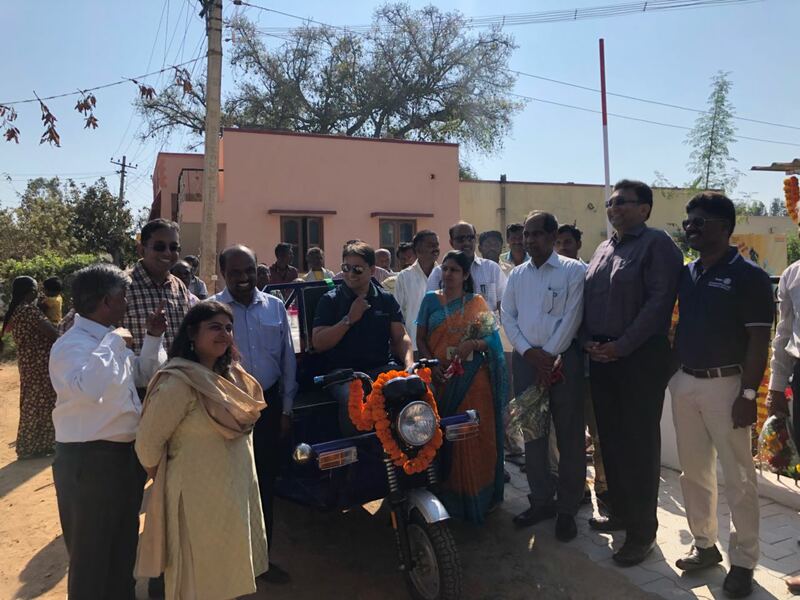 Earlier, Whitefield Central has constructed a playground in the year June 2016 through CSR program of Mercedes Benz R&D India in the same village, laid solar street lights through CSR program of Rajamane Telectric, had formed an RCC and now in the process of getting the Govt. 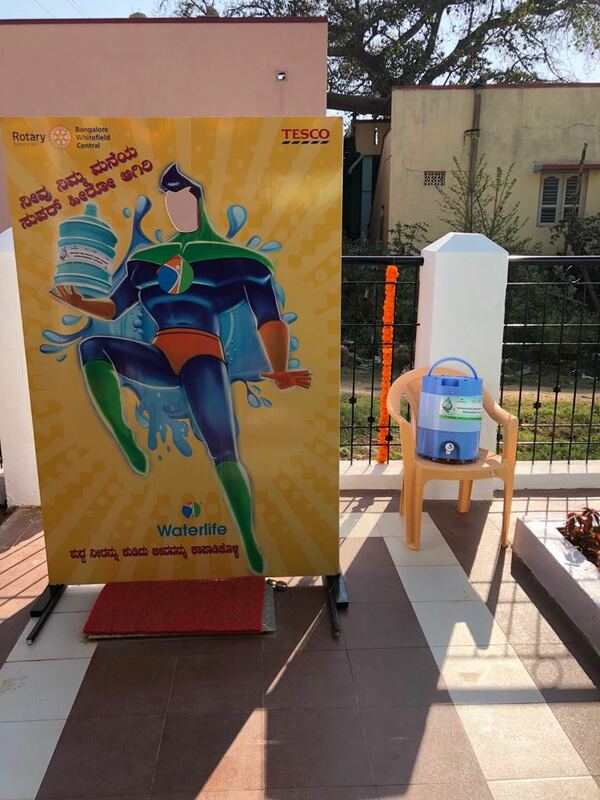 Lower Primary School painted through CSR program of Akzonobel besides Water ATM through CSR of Tesco Bengaluru, with the vision to transforming Naganayakanakote as one of the model villages eventually.